Elegant budget accommodation in a central part of Victoria Falls town, offering comfort, style and simplicity at great prices! Close to Elephant’s Walk, a popular shopping centre in Victoria Falls town is the "Explorers Village". 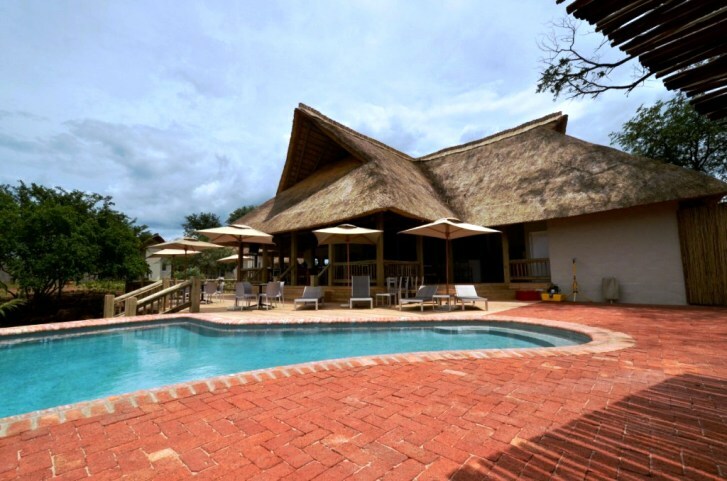 Being only a few minutes walk from the town centre, with its interesting curio shops and lively cafes and a ten-minute walk to the entrance of Victoria Falls, the ‘Village’ boasts a great location, while still remaining quiet and secluded on the edge of the National Park. Completed in late 2016, the Village is modern and stylish. 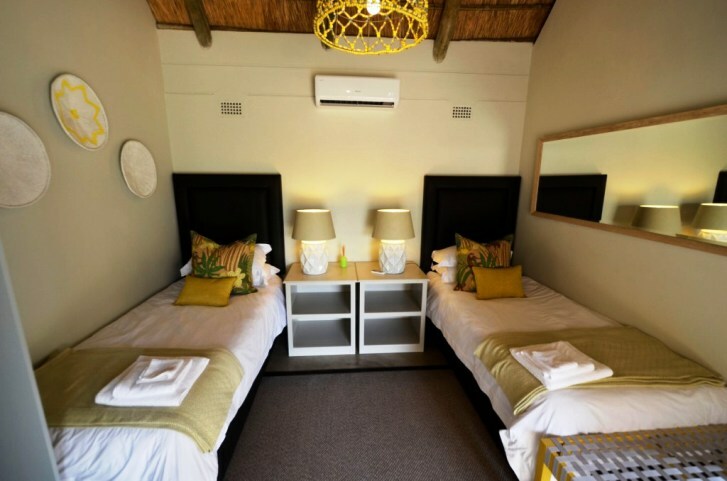 Aiming to mix budget accommodation with a comfortable and elegant experience - the 16 twin chalets are all en-suite, very clean with all the basic luxuries a traveller would need, including air-conditioning and a room safe. 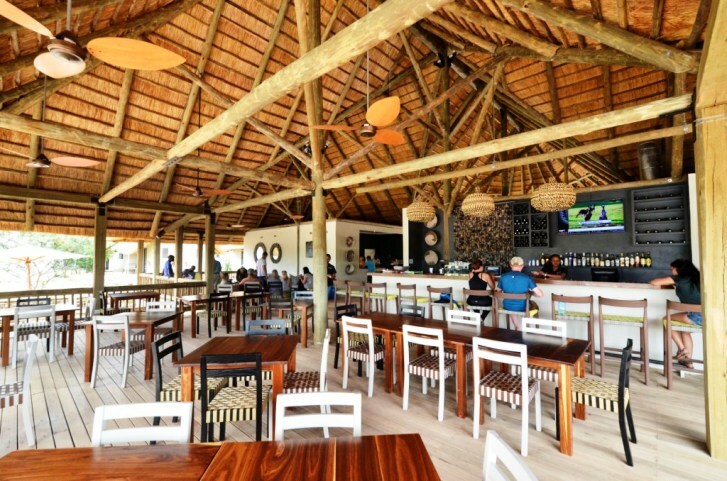 The main area is a large thatch building encompassing a reception, small curio and convenience store, lounge and seating areas, a fully stocked bar and a large public dining area, which leads onto the patio and infinity pool. Serving breakfast, lunch and dinner this main area is also a great place to watch sports or other events on the public television. The five separated camping grounds are designed specifically for overland tour groups and not single vehicles. Each campsite area has covered slabs where tents can be erected, BBQ facilities, a wash area and parking space for the overland vehicle. There are very clean and functional public restrooms. The Explorers Village also has an area with numerous dome tents with stretchers, linen and facilities exactly the same as the overland group sites. 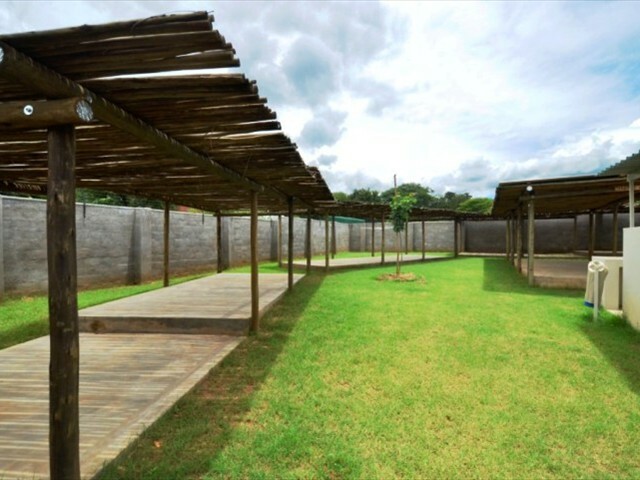 The Explorers Village is an excellent option for very good quality budget accommodation. The small but elegant chalets are clean and comfortable and are perfect for travellers wanting cheaper accommodation without compromising on quality. The large central entertainment, dining and bar area has a great atmosphere and facilities, with good quality food being served. The Village's central location makes it very convenient in relation to the shops, banks and other restaurants. We highly recommended the Village for not only those looking in this price range but actually anyone whose not wanting anything fancy and wanting to save money. Only drawback is some of the chalets not being that private. • Dome tents with stretchers and linen. • Self-drivers - Enter Victoria Falls town on Livingstone Way. Cross over the railway line, then turn left into Adam Stander Road. The Village is located behind the Elephant's Walk Mall. 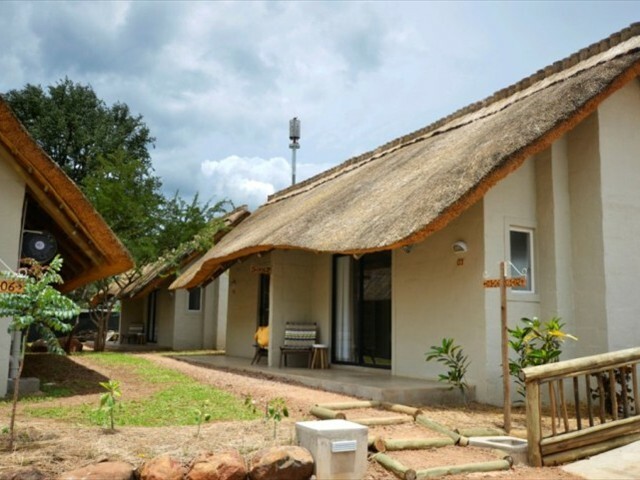 • Explorers Village is 20kms from Victoria Falls Airport. Transfers from the airport can easily be arranged. Contact us for assistance.